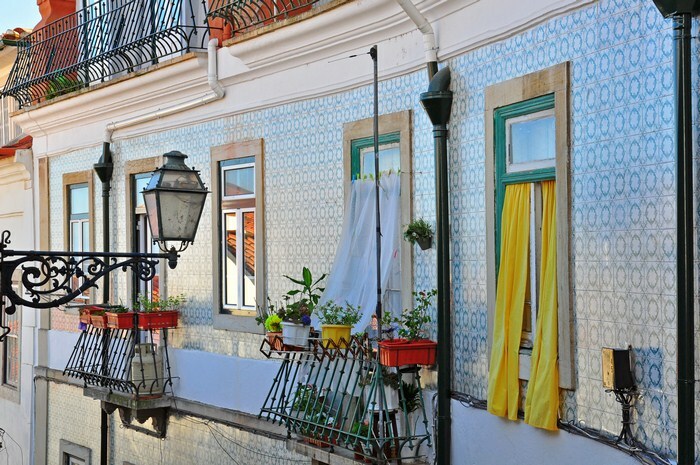 Alfama is one of the most famous neighbourhoods in Lisbon and is considered to be the birthplace of fado. 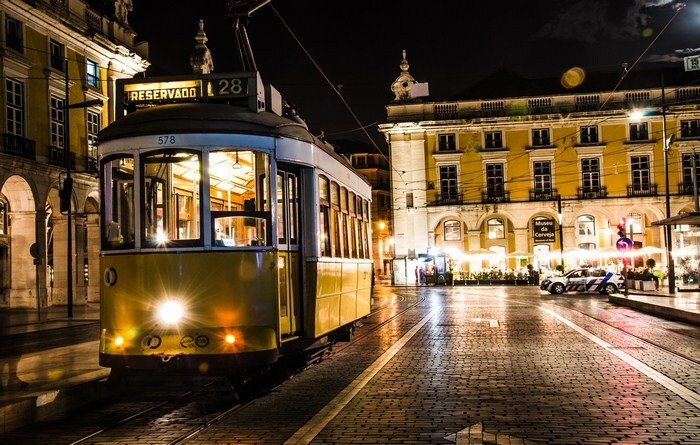 Located at the foot of Castelo de São Jorge with stunning views over the River Tagus and the city, what was once a fishing district is now one of the city’s tourist hotspots. This neighbourhood of steep, narrow, winding streets was already inhabited in Roman and Visigoth times. Although its name comes from the Arabic al-hamma, there is no sign of the thermal spas that once inspired it. Alfama wasn’t as badly affected by the great earthquake of 1775 as many other areas of the city, and it still retains the irregular layout characteristic of Arab medinas. The earthquake did sweep away the aristocracy and their splendid residences, however, and Alfama was occupied by sailors and fishermen. Strolling through this steep rabbit warren of a neighbourhood on a hot day can be exhausting. We recommend taking the nostalgic No. 28 tram, or eléctrico in Portuguese, to the top. Once there, take your time to lose yourself and discover its hidden delights. Castelo de São Jorge. This castle was the residence of the Portuguese royal family in the Middle Ages. A new palace was built in the 16th century and the castle was used as a prison and military barracks. La Sé. Lisbon cathedral was built in the 12th century on top of an old mosque. The main façade is Romanesque, but there are many Gothic features inside. Miradouro de Santa Luzia. Right next to the church of the same name, this viewpoint is one of the most famous vantage points in Lisbon. You’ll soon see why. Miradouro das Portas do Sol. 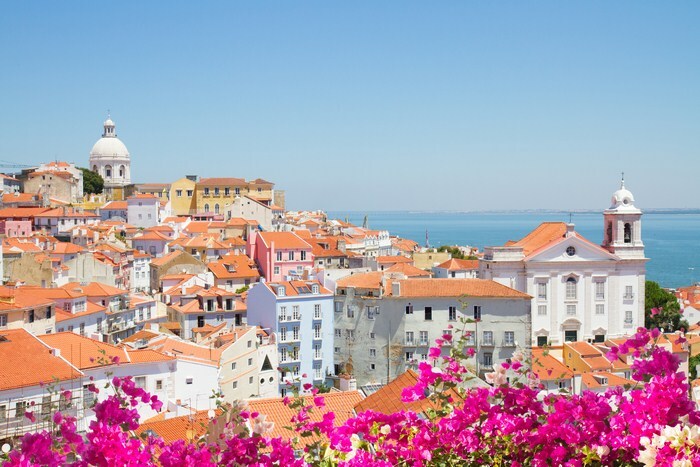 This viewpoint boasts stunning views over the Alfama neighbourhood. Casa dos Bicos. This 16th-century palatial mansion, designed by Francisco de Arruda, has a wonderful façade covered in spike-shaped stones, hence its name. Other points of interest in Alfama include the Church of Santa Engrácia, the Church of Santo António and the Monastery of São Vicente de Fora.